Plants, despite what many think, are fairly simple things and can easily be grown indoors with the right amount of sunlight and water. Houseplants are great and should be incorporated into everybody’s homes; they clean the air, add a bit of color and flair to your home, and can make the saddest of rooms look lively. Most plants have only a few basic needs which, when satisfied, will allow them to grow and flourish into beautiful additions to your home. Most houseplants are tropical and so the temperature of your home plays a big factor in their growth. Most homes are warm enough, however, some houseplants require cooler and moister conditions. This largely depends on the plant and getting it right is crucial to its growth and development. If you have a thermostat, lower the temperature at night and watch how much better your plant grows. Not to bring you back to Biology 101 here, but plants need light! The amount and intensity, duration and quality of light, however, again depends on the type of plant. 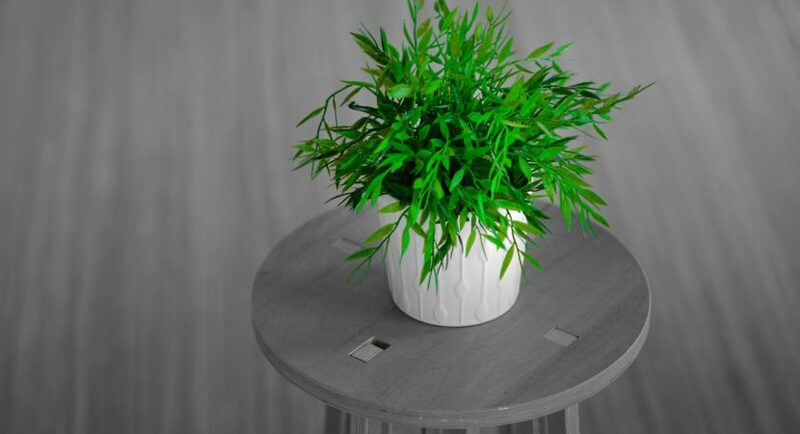 Try to pick a plant which best matches the lighting conditions of your home. Plants need water and the amount of water they need depends on, you guessed it, the type of plant. Not only this, though, the time of year will also have an impact on the amount of water your plant will need. During winter, indoor plants tend to need less water as they are not growing as actively as they would during the summer. During peak growing season, tropical plants generally require moist soil. Central heating in our homes can quite easily dry out the air to conditions akin to the desert. Although we may not notice it, plants sure do – during the summer, humidity is not an issue as we generally have the air conditioning turned up high, but throughout the winter, the drying out of soil due to the low humidity can cause plants some serious problems. One way to get around this problem, if you are serious about your plants, is to buy a humidifier or keep them in the bathroom where your shower and baths will keep the air nice and humid. If you want to keep your plants alive and thriving, humidity is key. Certain types of plants require certain types of planters, so check out ePlanters indoor planters. These play a massive role in just how much your plant will grow. If you buy a planter which is too small, your plant may suffer from stunted growth or not grow properly at all. There are plenty of different planters which you can buy for indoor use and we are sure you can find one to fit the style of your home and your individual tastes. Growing indoor plants is not rocket science. Unfortunately, many people don’t understand this and choose to avoid keeping plants out of ignorance. Indoor plants can completely transform a home and we seriously recommend taking your time to research and invest in some.